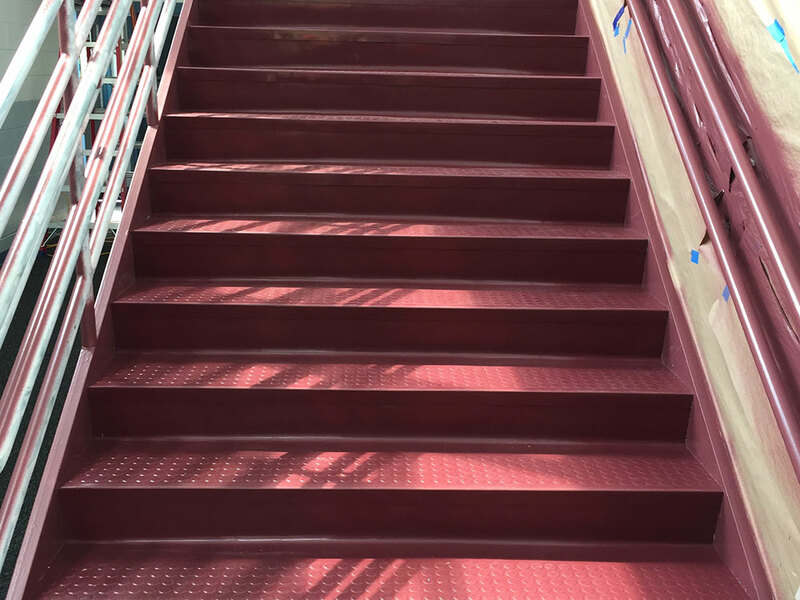 Northeast Flooring Solutions installs commercial rubber for durable, slip resistant flooring in hardwearing environments. As one of our resilient flooring options, rubber flooring has many beneficial properties that adapt well to high traffic areas like stairwells, gymnasiums, fitness centers, locker rooms, utility rooms and industrial spaces. 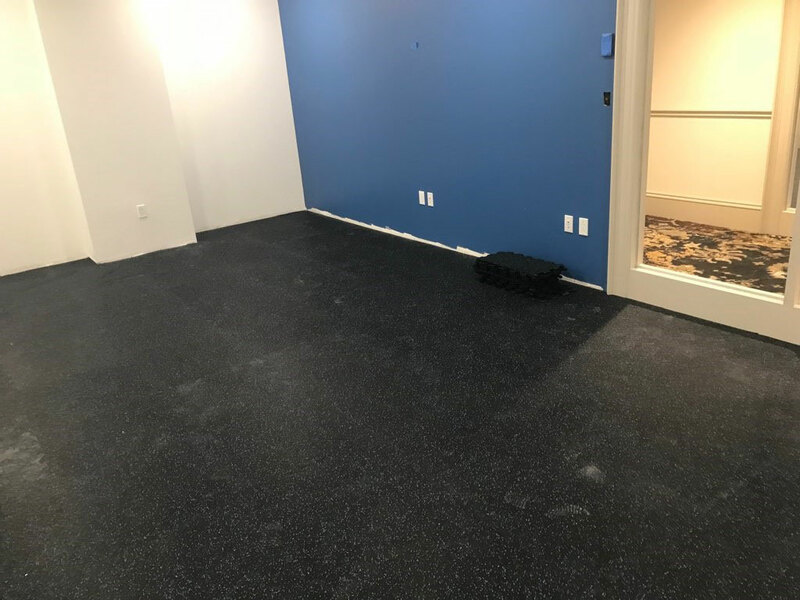 Rubber flooring also works well in healthcare settings, transportation, education, and public facilities where functional safety is preferred or specified. Rubber floors are water and bacteria resistant, and non-conductive. They are low maintenance and have a durable, easy to clean surface. Rubber is available in a variety of colors and pattern. Northeast Flooring Solutions sells and installs Nora and Johnsonite brands of rubber flooring, as well as most major brands in the industry. Available in popular round or hammered surface, and a variety of colors you can easily match the flooring and color scheme of the rest of your project. These are cost effective means to creating a safer space, and can be combined with contrasting visual strip on the edge giving an extra layer of protection as well as a visual contrast. Rubber tile is available in a variety of color and texture options including some metallics. With the availability of a few different sizes, as well as custom logo and design capabilities, these are a great option to get a truly customized look to your project when a rubber floor makes sense. As with other flooring types, the tiles allow for easier maintenance if damage does occur, allowing you to remove and replace a section of floor much more easily. Sheet rubber allows for a more seamless application compared to tiles. The ability for rubber to be flash coved makes it a great option for hygienic environments. Having chemical and slip resistant qualities, as well as noise and impact resistant qualities also adds to its appeal. Our experienced team can help you decide which type of rubber floor is best suited to your space. Rubber flooring applied to concrete requires floor preparation to ready the floor surface and mitigate moisture concerns. Our team of certified installers are experts at floor preparation and installation of whichever rubber flooring type you decide. Be sure to check out our rubber cove base in our Flooring Accessories to finish off your new floor.